Customize Your Experience With A La Carte and Weekend Packages! We’re making it easier than ever to access the education, networking, and new products and technologies you need to help your business grow. In addition to full Convention registration, NECA members can choose from two new weekend packages that encompass a range of NECA Convention and Trade Show offerings, or members and non-members alike can fully customize their time at NECA 2012 Las Vegas with the a la carte menu! The shared responsibility of workplace safety is a vital concern for electrical contractors and their employees. NECA’s the first-ever Safety Forum at its national convention, Saturday, Sept. 29 – Sunday, Sept. 30, will go right to the heart of what it takes to achieve and maintain safe work environments. From company safety programs to employee training to NFPA 70E updates, you will get the latest information right from electrical construction safety leaders. Learn how to clearly demonstrate your company’s safety commitment to customers and potential customers and how to implement new safety rules throughout your workforce. NECA is widely acknowledged as the industry’s best source for safety information. Save your company time, resources and lives by taking advantage of our Safety Forum at NECA 2012 Las Vegas! Where else can you participate in education sessions geared to the needs of NECA contractors, connect with manufacturers and service providers you rely on, and meet up with your fellow NECA contractors? No where else but NECA 2012 Las Vegas! And, you get all that knowledge and face-to-face networking in just three days, meaning fewer days out of the ofﬁce, lower travel costs, and immediate results…at an $800 savings! NECA education tracks are a series of strategies, best practices and newest technology grouped in five tracks of related topics. Each track is filled with hours of content presented by the industry’s leading experts geared to providing strategic and practical solutions for electrical contractors. If your firm is expanding into one or more of the alternative energy markets, then attend the Energy Solutions track, or send one of your colleagues to cover the information while you attend the Management Track. And, make sure your Safety Director attends the Safety Track. Each theme runs from pre-convention workshops to the management sessions to the technical workshops on the NECA show floor. These new streamlined tracks will help you keep up with the ever- evolving needs of the industry. There is so much to stay abreast of in the world of technology and best practices. This track covers vital information such as pre-fabrication, significant NEC® code changes, measuring power consumption, new tool technology, leveraging BIM, and more. 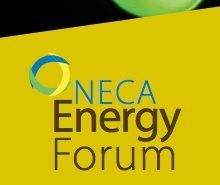 These sessions are a continuation of the Energy Forum, providing an in-depth look at alternative energy opportunities available to electrical contractors. Topics covered include Smart Grid, Solar/PV, the vast market for lighting and controls retrofits, NECAWORKSTM, EVSE, and much more. Line contractors are working in extraordinary times. They are at the forefront of electrical grid improvements, smart meters, broadband technology, and distributing power from renewable sources nationwide, as well as safety improvements. The only way your business can be prepared to take advantage of all the emerging market opportunities in our industry is to be exposed to new ideas and solutions. Attendees will find all the latest information and updates. Immerse yourself in the leadership skills and knowledge you need in order to contribute more effectively as a key member of your management team. Driving improved business results through enabling technologies is crucial to grow sales, reduce expenses, and improve organizational effectiveness. This safety track extends the learning from the Safety Forum. Topics include new OSHA enforcements, NFPA 70E compliance updates, safety through design, lightning protection advances, and more. Attendees will find a complete matrix of the tracks on our website at ww.necaconvention.org. The matrix chronologically outlines all sessions by related topic, so you can customize plan your NECA 2012 Las Vegas education program to fit your business needs. Early Registration Opens Tuesday, May 22! NECA’s annual convention and trade show are the electrical construction industry’s first choice for education, hands-on workshops and peer-to-peer networking. At NECA 2012 Las Vegas, Sept. 29-Oct. 2, we’ll bring the best things about NECA together in one location – inspirational speakers, talented trainers, new products and plenty of opportunity to explore what’s good for your business. Be looking for several great new programs at this year’s Convention and Trade Show, including all-new management education and technical workshop tracks, the first NECA Safety Forum, the 2nd Annual Energy Forum, and the NECA Student Chapter Green Energy Challenge . . . just a few of the exciting opportunities will be featuring in the NECA 2012 Las Vegas Circuit! Sunday, September 30 – 10:15–11:30 a.m.
Joe and Mika have carved out a following of devoted viewers, who tune in daily for their thoughtful analysis and commentary about the public events and politics shaping our daily lives. Joe and Mika are lively debaters with their guests and each other, unafraid to express different opinions without crossing the line to negative attacks. Convention-goers will enjoy an exclusive NECA-only performance for one of the hottest tickets in town – Le Rêve – The Dream – at the Wynn Las Vegas for the Closing Celebration on Tuesday, Oct. 2. Le Rêve combines fire and water in breathtaking performances in an intimate aqua theater-in-the-round. The show features aerial acrobatics, provocative choreography and artistic aerial feats. Le Rêve’s 93-member cast will capture your imagination with daring feats of strength and agility. Live music and special effects immerse the audience into a world of fantasy, adventure and intrigue. The unique, in-the-round setting also guarantees an amazing view from all theater seats of the action on the aquatic stage. You’ll be immersed in the action of the show, but unless you request to sit in the splash-zone, you’ll stay completely dry. Watch fantastic scenes from Le Rêve’s on Facebook, or follow all the action at the Wynn on Twitter. Closing Celebration show time is 7 p.m. on Tuesday, Oct. 2. Busing will not be provided, so please considering enjoying the Wynn’s phenomenal restaurants either before or after the show.